It doesn't take much to convince me to go skiing. When it's cold, snowy and the middle of winter, there's really nothing I'd rather do. Even on Super Bowl Sunday. Actually, skiing before watching the Super Bowl practically became a tradition in my house. My mom, my sister and I would ski at the local hill, but unlike every other Sunday, we'd get better parking, a seat in the lodge for a quick warm-up and nearly no lift lines. Better than watching the Bills lose to the Cowboys...again. Apparently we were onto something 20 years ago. "Super Bowl Sunday is one of the best days of the year to get out on the hill," said Evan Reece, co-founder and CEO of Liftopia, the largest online and mobile marketplace for lift tickets and other mountain activities. "You'll find wide-open trails, no lift lines, and great bars and restaurants to view the game when it starts at 6:30 p.m. EST. You might as well burn some calories on the hill before you dive into those wings." Pizza may have been my food of choice as a kid, but the pre-game workout hasn't changed much. And Liftopia is making it even more tempting to ski before the big game. On Tuesday morning, the site launched a lift ticket sale that'll make Super Bowl Sunday one of the more affordable days of the season to hit the mountain. With snow in the forecast, it's a hard offer to resist. The Game Day Sale, as it's been called, has become somewhat of an annual tradition for Liftopia, and skiers and boarders can reap the benefits at more than 250 resorts across North America. Liftopia's biggest sale of the year on lift tickets has prices starting as low as $19.99, as much as 55 percent off walk-up window rates. Now there's a huge thank you to my wallet! "Since this Sunday is traditionally a low-demand day for resorts, our partners offer some of their best weekend deals of the year for our Game Day Sale," Reece said. "The average booked savings on Liftopia for Super Bowl Sunday last year was 33 percent – representing the best value of any Sunday during the regular ski season." What are some of those resort deals? Here are some of Liftopia's Game Day deals with more available Liftopia's website. The prices listed below are the starting prices for lift tickets at these resorts and they may change based on availability. Fresh tracks at Okemo? Sounds good to me! In Colorado, lift tickets are as low as $29.99 at Loveland, $48 at Arapahoe Basin, $58 at Crested Butte, $70 at Winter Park and $72 at Copper Mountain. 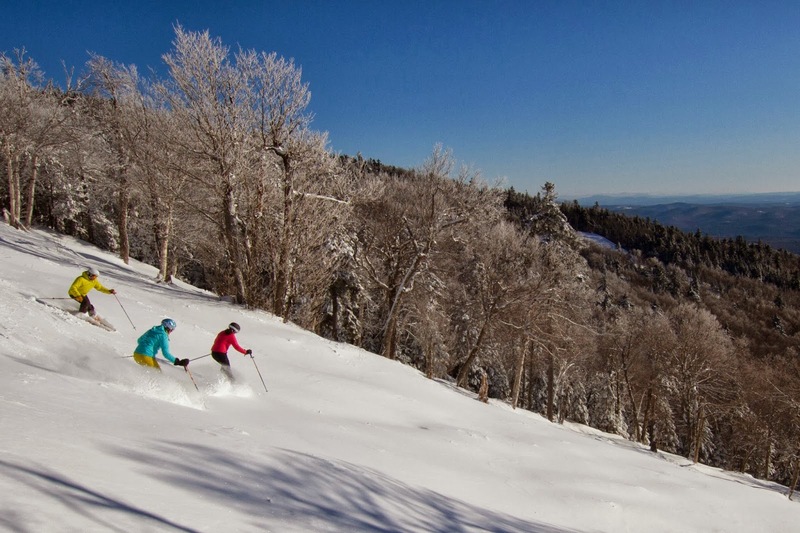 In New England, you'll find $39 lift tickets at Attitash and Wildcat in New Hampshire, $48 lift tickets at Stratton in Vermont, and $65 lift tickets at Okemo in Vermont. In New York, New Jersey, Pennsylvania, West Virginia, Virginia and North Carolina, resorts have lift tickets ranging in price from $30 to $54. In the Midwest, lift tickets are as low as $19.99 at Caberfae Peaks (Michigan), $25 at Grand Geneva (Wisconsin), $27.99 at Christmas Mountain (Wisconsin), and $48 at Crystal Mountain (Michigan). In Tahoe (where it's finally looking a lot more like winter thanks to a January storm), Diamond Peak has lift tickets starting at $35, Mt. Rose has tickets starting at $55 and Sierra-at-Tahoe has tickets starting at $62. In the Pacific Northwest, Oregon has deals at Anthony Lakes ($23) and Mt. Hood ($48) while Washington has deals at 49 Degrees North ($42) and Mt. Spokane ($40). For more deals at the regions listed above and other ski resorts not listed, check out Liftopia's Game Day Sale. I know where I'll be skiing before the big game...how about you?